It's always interesting how differently an artist can fare in one country compared to another, especially when their debut single is a huge success all around the world. For the female singer who arrived on the ARIA singles chart this week in 1993, her Australian achievements - two hits, separated by an eight-year gap - paled in comparison to her tally of 10 top 10 singles at home in the UK. But in 1993, both Australia and Britain welcomed the eyepatch-wearing singer immediately, with her debut single flying towards the top of the chart. In the UK, it reached number 1, while in Australia it fell one place short. At number 1 this week in 1993, Meat Loaf was settling in for the long haul as "I'd Do Anything For Love (But I Won't Do That)" spent its third week on top. The Commitments had made him if not a household name then at least a voice recognised by hundreds of thousands around the country, but those fans did not follow the Irish singer as he launched his solo career. Not including the music she released as a pre-teen, this was the Icelandic singer's first solo effort away from The Sugarcubes - the lead single from her appopriately titled album, Debut. She'd been a runner-up on talent contest Star Search before signing with Festival Records and releasing this remake of the 1976 single by The Brothers Johnson (previously covered in 1989 by Quincy Jones featuring Ray Charles and Chaka Khan). But Tracey Arbon wasn't able to turn TV fame into chart success with this or any of her subsequent releases. Looked like the top 30 success of "Father's Day" was going to be an anomaly as this lead single from the folk rock band's fifth album, King Tide, merely poked its head into the top 50 and no subsequent single by Weddings Parties Anything even got that far. Meanwhile, here's another Australian band making their top 50 debut with the second single from their biggest album, Trace. "Harness Up" is one of those songs I didn't think I knew, but as soon as I played it and that "Oooh-oh-oh-oh-oooh-oo-oh-oh" vocal hook kicked in, it was instantly familiar. Surprisingly not a bigger hit given it even registered on my radar at the time. Here's a song I do remember, especially thanks to its missing children-themed music video, and, I have to say, I find it as much of a dirge now as I did back in 1993. 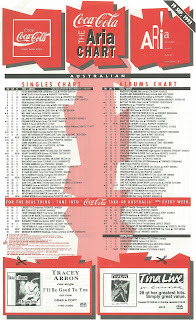 The Grammy-winning song (which is actually about depression) changed everything for the American band, who'd been releasing music since 1984 - and its video also had quite an impact, with region-specific versions released in different parts of the world, including Australia, where some of those missing turned out to be victims of backpacker murderer Ivan Milat. Our rock fest continues with the title track of John Mellencamp's 12th studio album, which got its lyrics from a eulogy written by the singer's collaborator, songwriter George Green. "Human Wheels" wasn't one of John's biggest hits in Australia - and I'm not convinced I've ever listened to it before - but the album of the same name did better, debuting this week at number 7 before dropping like a stone out of the top 50 within five weeks. 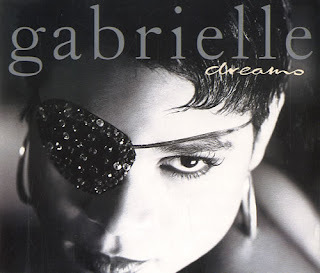 The lone female performer in a male-dominated week, Gabrielle had made a huge impression at home earlier in the year when she blasted into the UK chart at number 2 - the highest ever debut by a new female artist. "Dreams" went on to spend three weeks at number 1 there. The singer born Louise Bobb (Gabrielle is her middle name) didn't get off to as quick a start in Australia, but she did wind up at number 2 locally, denied a chart-topper by Ace Of Base. Originally featuring a sample of "Fast Car" by Tracy Chapman, "Dreams" was a delicious slice of pop/soul - the first of many Gabrielle would release (and do well with) in the UK. 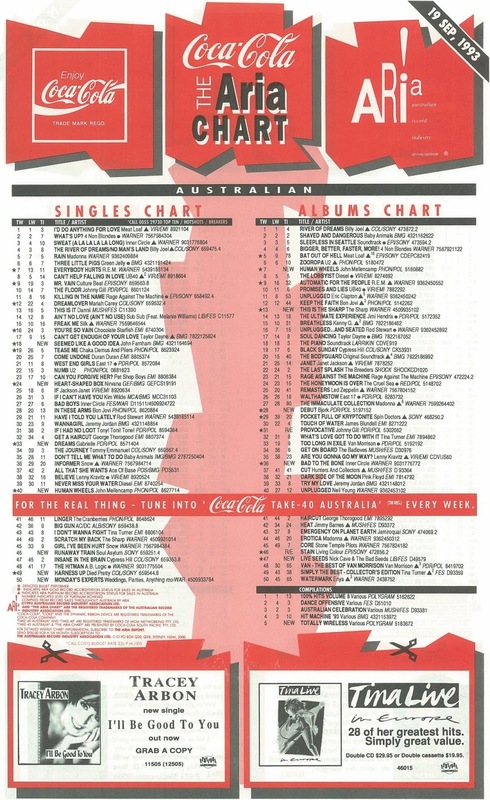 In Australia, it would take until 2001's "Out Of Reach" for her to break the one-hit wonder tag, with local listeners ignoring the likes of "Going Nowhere", "Give Me A Little More Time" and "Sunshine" in the meantime. Next week: a chart-topping band with hits that were almost exclusively cover versions make their last showing on the top 50... with an original song. I don't recall hearing the Andrew Strong track before. It took me a while to warm up to Bjork, but I bought her album at the end of '93. I only vaguely recall Tracey Arbon. And going by the fact that the video has only had 49 views in nearly 4 years (! ), it looks like I'm not alone there. I would have heard 'Monday's Experts' a few times during the rage top 60, but could barely recall it. The musical backing is a little reminiscent of Roachford's 'Only To Be With You', even though this preceded that. It's somewhat chilling that the bodies of several backpacker murder victims were found while 'Runaway Train' was in the charts. The video was later re-edited to replace those 'found' with new missing people. I actually liked 'Human Wheels'. Well, for a John Mellencamp song it's not bad. I like 'Dreams' but it has been a bit overplayed. I've always thought Kurt Cobain looks a little more than crazy in the 'Heart-Shaped Box' video. Naming your lead single 'Seemed Like a Good Idea At the Time' is just tempting fate. As a sign of his declining appeal, I remember my sister mentioning to my mum that he had a new album out, as a suggestion of a birthday (or Christmas) present, and she responded something like "Oh, I don't want that!" Certainly Nirvana's most striking video, directed by Anton Corbijn, apparently shot in black-and-white and hand-coloured frame by frame. There's an alternate version with somewhat eerie footage of Kurt lying on his back with wisps of smoke around him. Seems like they had fun filming it, according to what I've read. I had no idea "Heart-Shaped Box" peaked only 3 places higher than its debut position. Well, at least the album made no.2 (get stuffed, Meat Loaf). The "Runaway Train" video, in whichever version, is one of the saddest things I've seen. I think the US version has a missing person photo of a baby during the final scene of the baby getting abducted off the street. The thing I found most disturbing was the (abused?) child's drawing at the start -- it creeped me out so much, I stopped watching Rage for the remainder of 1993. Regarding Gabrielle's other UK hits that Australia ignored, I'm surprised you neglected to mention "Rise"... a UK #1 if I remember correctly.